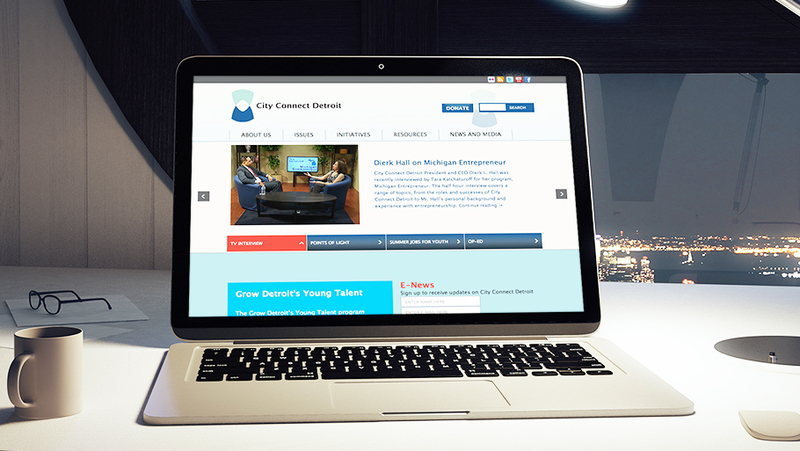 City Connect Detroit (CCD) is a non-profit organization that solves local problems by facilitating the cooperation between governments and other Detroit non-profits. They primarily aid these organizations in securing increased national funding. Since the agency’s establishment in 2001, they have focused on topics affecting children, families, and community health and development. CCD has organized more than 40 community problem-solving initiatives during its decade and a half of operation. Before coming to Media Genesis, CCD did not have a CMS that met their needs and their website design and organization did not entice viewers to interact with or explore the content. The CCD needed a simpler website that was easy to interact with and accurately communicated their mission.